I am in LOVE with this rug and I am so excited to share my review with you today, sponsored by RugsUSA! Thank you all so much for your kind words about my Christmas home tour as part of Jennifer Rizzo’s Holiday Housewalk yesterday! 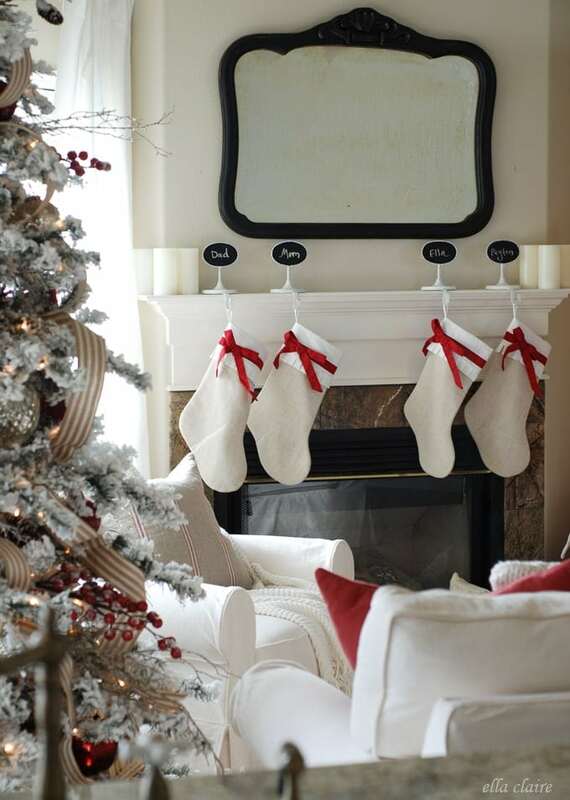 Christmas and decorating are two of my favorite things and it was so fun to share it with you. Yesterday, I am sure you probably noticed this new rug in our bonus room/family room. 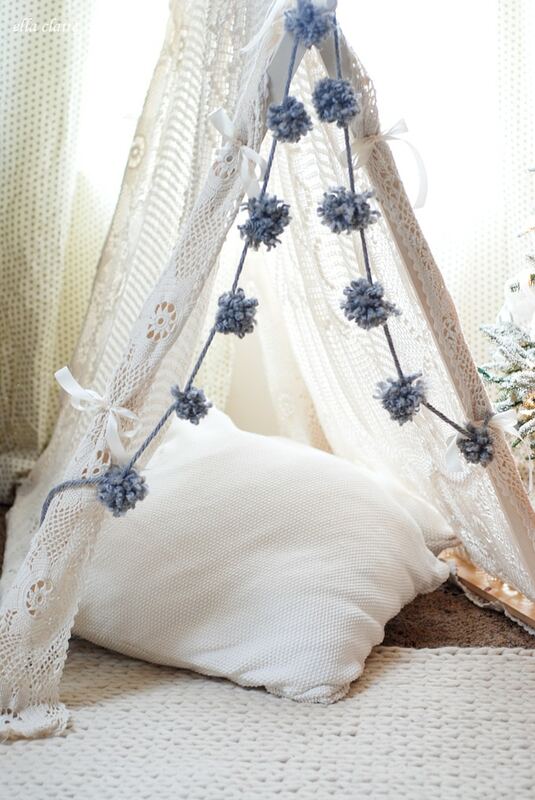 It was actually the jumping off point for the theme of the Christmas decor for this space. 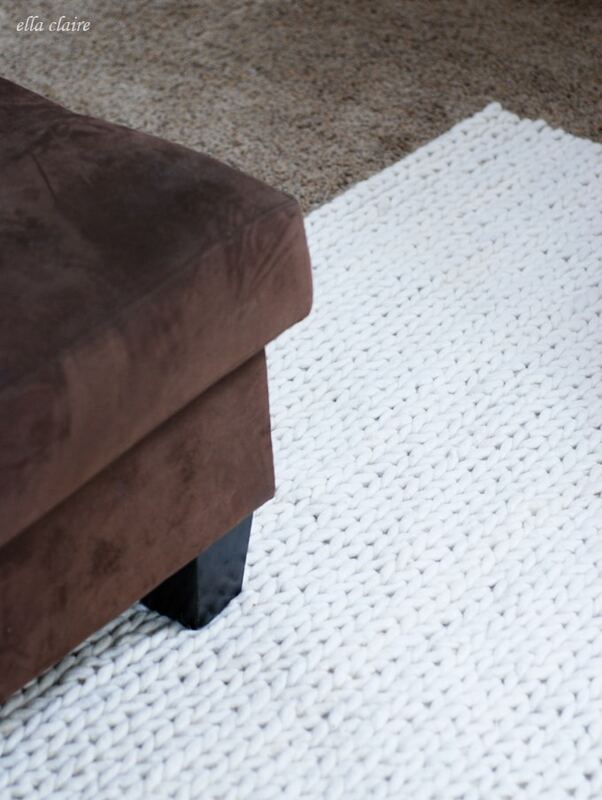 When I was searching the RugsUSA site, I fell in love with the texture and style of this Handmade Wool Cable Rug. Our bonus room is a big (the length of a 3 car garage) but cozy space, that I basically split into two designated areas- a T.V watching area with our sectional, and the kids’ playroom. I wanted to help define the cozy family room space a little more and lighten it up with a rug. The texture of this rug made it so warm and inviting. It is so soft and cozy. I am so in love with it. 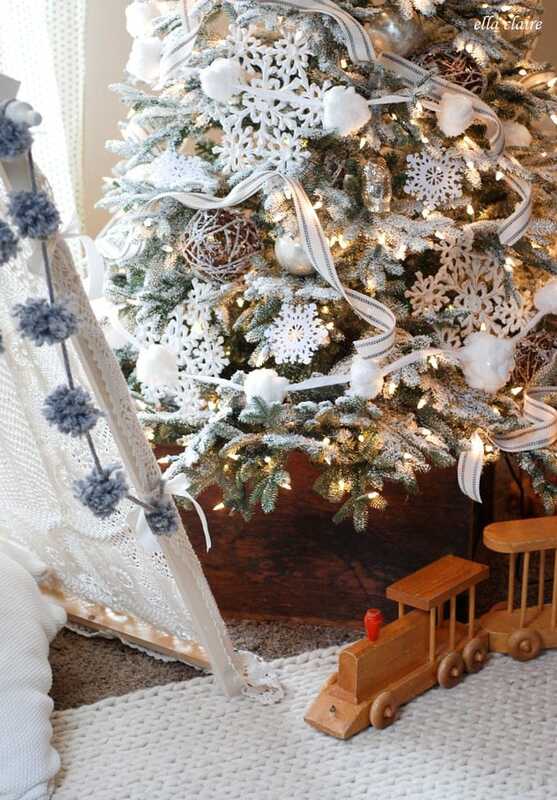 When it came time to decorate the space for Christmas, it really inspired cozy, warm, wool sweater, snuggling in the winter, soft and inviting theme. I will be sharing more on this tree and its decorations (along with a couple tutorials!) next week. Before I could even get it lying flat on the ground, the kids were jumping on it and rolling around. It was making me giggle. 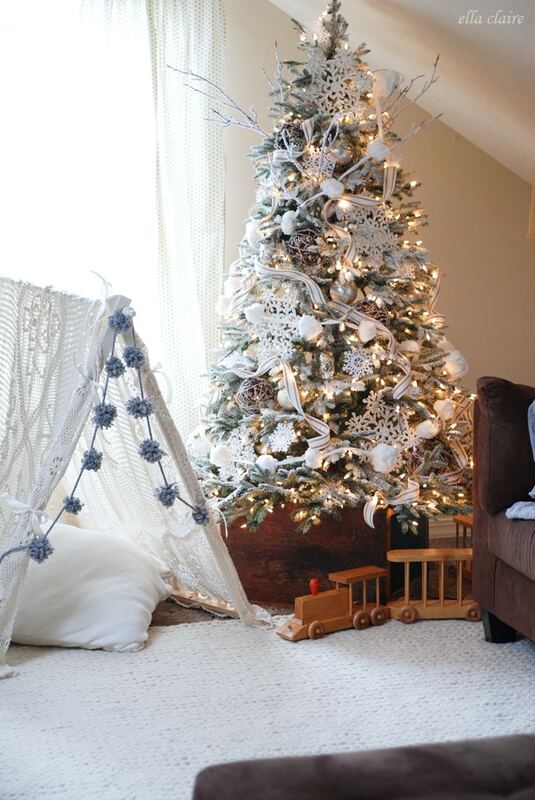 I can’t wait to share more details of the Christmas decor in this space! And I am excited to play around with the rug as it transitions through the seasons. 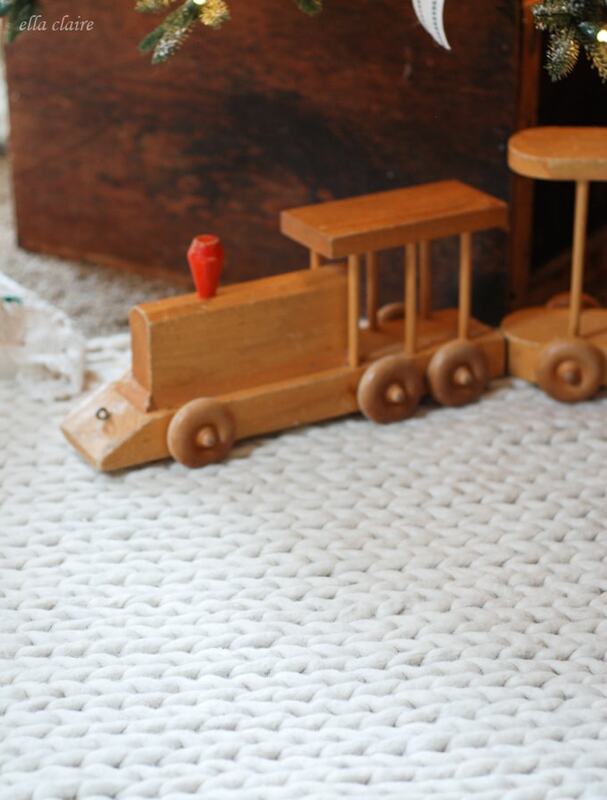 I need to get back on RugsUSA and look around for a coordinating rug for the playroom side too. I am thinking something soft and really durable. Please let me know if you see something you think would be perfect! LOVE your rug-I would love to have it too in my house, but 100 lb Lab would ruin it in about 5 mins-I will enjoy seeing it in your home! Oh that rug! It’s stunning!! !